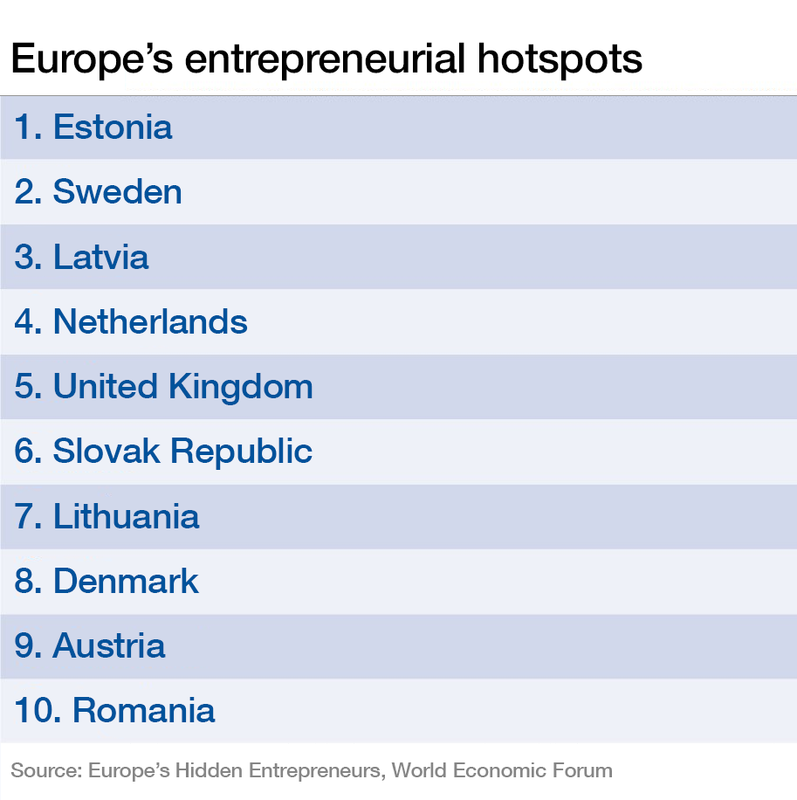 Estonia is the most entrepreneurial country in Europe – and Northern Europe and the Baltics are a hotbed of entrepreneurial activity, according to the World Economic Forum. A report compiled by the WEF, “Europe’s Hidden Entrepreneurs: Entrepreneurial Employee Activity and Competitiveness in Europe”, looked at a form of entrepreneurship beyond the typical startup – intrapreneurship, which involves workers formulating and implementing new ideas within organisations, rather than starting their own businesses. The report then compares entrepreneurial activity within organisations with startups. From that comparison, Estonia emerges out on top, while two of Europe’s largest economies, Germany and France, don’t even make the top 10, the WEF said. According to the forum, Estonia has a high rate of total early-stage entrepreneurial activity and an above average rate of entrepreneurial employee activity. “Almost 80% of businesses started in Estonia are opportunity-driven and Estonia is often cited as a model for entrepreneurially-oriented policy,” the report points out. Sweden comes second in the WEF ranking, Latvia third and Lithuania seventh. 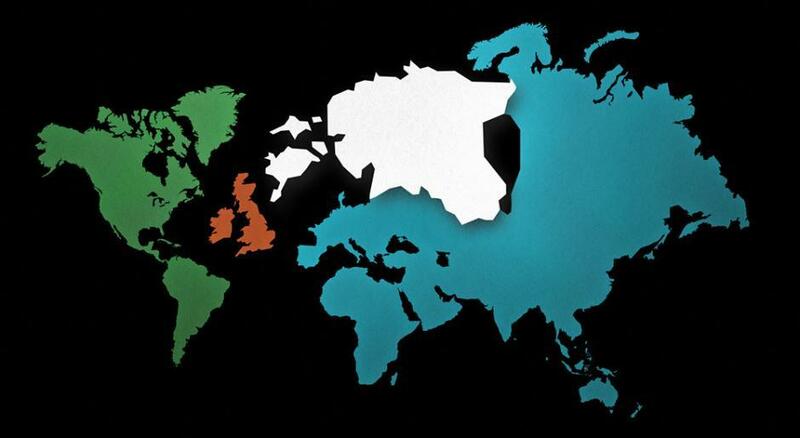 Of the biggest economies in Europe, only the United Kingdom is in top 10 – on the fifth place. The WEF used two unique data sets that were combined for the study: the World Economic Forum’s Global Competitiveness Index data, which ranks economies on their economic competitiveness, and Global Entrepreneurship Monitor’s assessment of entrepreneurial activity.